Rachel Eliza Griffiths is a poet and photographer. She received the MFA in Creative Writing from Sarah Lawrence College. 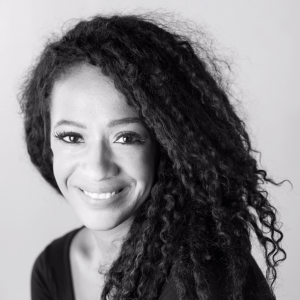 A Cave Canem and Kimbilio Fellow, she is the recipient of fellowships including Yaddo, Provincetown Fine Arts Work Center, Cave Canem Foundation, Vermont Studio Center, The Millay Colony, and others. In 2011, Griffiths appeared in the first ever poetry issue in Oprah’s O Magazine. Griffiths is the author of Miracle Arrhythmia (Willow Books 2010) and The Requited Distance (The Sheep Meadow Press 2011). Griffiths’ third collection of poetry, Mule & Pear (New Issues Poetry & Prose 2011), was selected for the 2012 Inaugural Poetry Award by the Black Caucus of the American Library Association. Her most recent full-length poetry collection is Lighting the Shadow (Four Way Books 2015), which was a finalist for the 2015 Balcones Poetry Prize and the 2016 Phillis Wheatley Book Award in Poetry.